Burgundy (Bourgogne) is a long, narrow wine region in eastern France, home to some of the world’s greatest vineyards, where Pinot Noir and Chardonnay achieve their most complex expressions. 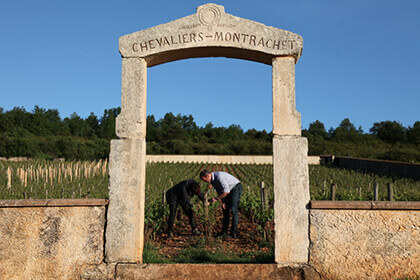 Lending great character to the exclusive wines of Burgundy is the region’s unique terroir, particularly its signature soils, which vary in depth, richness and mineral content not only from one area to the next, but also even between vineyard plots. 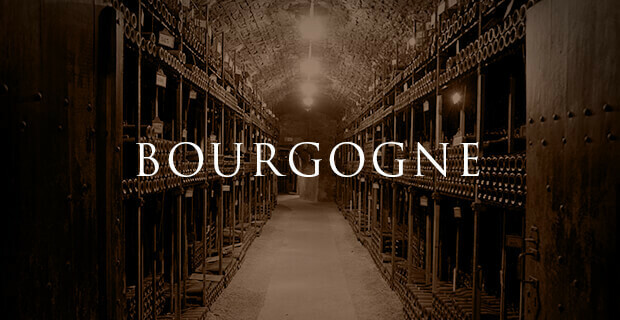 To most, the word « Burgundy » is synonymous with wines of the highest quality. This region, situated between Paris and Lyon, is renowned for producing some of the most exquisite, age-worthy and expensive white wines and red wines in the world. Unlike the famous blends of its brother Bordeaux, Burgundy specializes in single-variety wines made from Chardonnay and Pinot Noir, considered the flagship grapes of the region, along with some Gamay and Aligote. Perhaps more than any other wine region in the world, the characteristics of the land matter most here, and the wines are created to offer the purest possible expressions of the latter. During the 18th century, the quality of roads in France was improved, and the first negociants (wine merchants) of Burgundy were established in the 1720’s and 1730’s to help push the region’s wines to the booming Parisian market. Production in Burgundy remained in the hands of the church until the French Revolution of 1789, after which the vineyard properties were broken up and sold. The strict inheritance laws put forth by Napoleon at this time resulted in the thorough subdivision of some of Burgundy’s most precious vineyards, leading to many growers each owning very small pieces of land (in some cases, only 1 or 2 vine rows). This system contributed to the proliferation of small family-owned wineries. It also led to the establishment of great negociant estates, which would buy grapes from many different growers and produce a single wine from the aggregate. Eventually, these negociant estates acquired land of their own, giving rise to negociant-producers, like the famous Louis Latour. On the heels of the 1855 classification system of Bordeaux, requested by Emperor Napoleon III, a man by the name of Dr. Jules Lavalle published a book, in which he included an unofficial 3-tier classification of Burgundy vineyards. 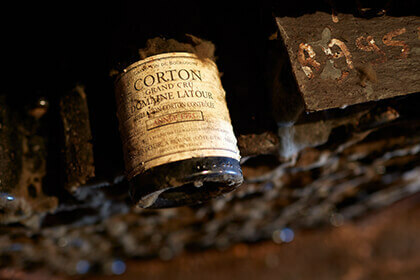 In 1861, this system was formalized by the Beaune Committee of Agriculture and most of the “first class” vineyards were established as Grand Cru appellations with the implementation of the official AOC system in 1936. Burgundy suffered greatly from the economic depression of the 1930’s and World War II, which left behind neglected vineyards with soils devoid of nutrients. When growers returned to their land, they began fertilizing their soil, spraying the soils with chemicals, which eventually proved to be quite harmful in large quantities. Between 1985 and 1995, many Burgundy estates renewed their effort, focusing on limiting their yields to produce higher quality wines. In order to counteract the negative effects of chemical fertilizers, many producers eliminated the latter, switching instead to more sustainable organic or biodynamic methods. Domaine Leroy is known as one of the pioneers of the biodynamic movement in Burgundy, with the totality of its 21 hectares, 99 ares and 66 centiares entirely cultivated under biodynamic principles since 1988. The simplest, most cost-friendly, easy-drinking Burgundy wines are classified into 23 “Regional” appellation AOC’s, which include the word “Bourgogne” (Burgundy) on the bottle. Next up on the pyramid are the 44 “Communal” or “Village” appellation AOC’s, which bear the name of the village in whose surroundings the wine is produced. Example include Beaune, Mercurey (producing mostly red Burgundy), and Pouilly-Fuisse (specializing in white Burgundy). Within these village appellations, certain climats (or plots) have been identified as having the highest quality terroir and classified as “Premier Cru.” Wines at this appellation level include on their label the name of their commune/village of origin, followed by the term “Premier Cru” (or “1er Cru”). Sometimes the historic name of the climat is also included on the label, as in Nuits-Saint-Georges 1er Cru "Les Perrieres” and “Beaune 1er Cru "Les Marconnets. [DB1] "
At the very top of the appellation pyramid are the rare Grand Cru wines, representing a mere 1.5% of the region’s total production. These are the most exquisite, elite and exclusive of Burgundy wines, produced on the most famous plots, of which there are 33 in total. These wines will always bear the term “Grand Cru” on the label, along with the name of the Burgundy vineyard of origin, rather than the commune/village where that vineyard is located. 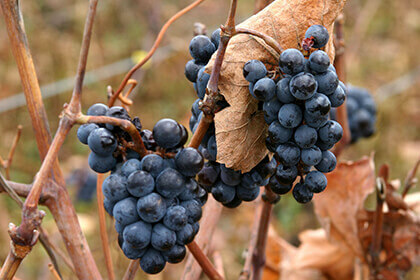 Perhaps you’ve heard of a little Grand Cru called Romanee-Conti? Some of Burgundy’s best known producers, including the historical Maison Louis Jadot, Olivier Leflaive and Bouchard Pere & Fils, produce wines under all four of these appellation levels: Regional, Village/Communal, Premier Cru and Grand Cru. Situated in eastern-central France, the Burgundy region comprises 5 primary growing area: Chablis & Grand Auxerrois, the Cote de Nuits, the Cote de Beaune, the Cote Chalonnaise and the Maconnais. Chablis is the northernmost Burgundy region and not geographical connected to the rest of Burgundy. This land is traversed by the Serein River, and is home to a climate similar to that of nearby Champagne: hot summers are followed by harsh, very cold winters and often frost in the springtime. Chablis is known for its Kimmeridgian limestone soil, whose white, chalky texture retains the heat from the sun, helping grapes ripen. 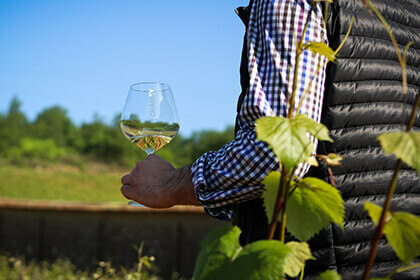 Chablis is best known for its unoaked Chardonnay Burgundy white wines, offering citrus and white flowers aromas and a signature flinty minerality. Producers like Billaud-Simon produce wonderful expressive Chablis wines. Often counted together with Chablis due to proximity, the Grand Auxerrois is home to many very old, small Burgundy vineyard plots, categorized into four specific terroirs: the Auxerrois, Tonnerrois, Vezelien and Jovinien. Vines of Chardonnay, Aligote, Pinot Noir and Gamay stretch their roots into limestone soils, producing a wide range of red and white Burgundy wines, on a variety of Regional and Communal/Village appellation levels. Saint-Bris is exceptional in that it produces aromatic Sauvignon Blanc wine, rather than the traditional Burgundy varieties. Situated between southern Dijon and the village of Corgoloin, the Cote de Nuits is home to 24 Grand Cru vineyards and produces some of the most expensive, and age-worthy wines of the world. Around 80% of the total production here is of Pinot Noir, with the rest being either Chardonnay or rosé (as in Marsannay). These Grand Cru vineyards are located on eastern slopes, facing the Saone River nearby. They go from Gevrey-Chambertin and Morey-Saint-Denis in the north down to Vougeot and Vosne-Romanee in the south of the region. Southwest of the Cote de Nuits, the Cote de Beaune region is home to a very different terroir, with rolling valleys and more southerly exposure in terms of climate. Together, the Cote de Nuits and Cote de Beaune form the Cote d’Or (or “The Golden Coast”), named after the emblematic limestone ridge running through the region. Many of the most famous producers of Burgundy, great names like Domaine Faively, focus on producing wine in these precious soils. The Cote de Beaune is divided into a northern and southern section. In the north, around the hill of Corton, mostly Pinot Noir is produced. The southern part is home to various Montrachet sites (the most prestigious being Montrachet), specializing in rich Chardonnay whites. Still further south of the Cote de Beaune is the Cote Chalonnaise, situated between the towns of Chagny and Saint-Vallerin and comprising five key communes: Bouzeron (specializing in Aligote white Burgundy wines), Rully (specializing in Cremant de Bourgogne), Mercurey, Givry and Montagny. While the terroir of Cote de Beaune to the north is strictly defined by its limestone soils, the vineyards of the Chalonnaise are home to a more varied patchwork of soils, including Jurassic limestone and marl, eroded pebbles and clay. There are no Grand Cru vineyards here, though some of the communes have several Premier Cru level sites. Finally, the Maconnais region is located between the towns of Tournus and St. Veran, making it the most southerly Burgundy region. The climate here is significantly warmer, with harvest often occurring 2 full weeks before that of Chablis. 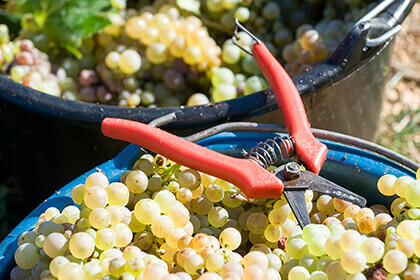 This difference is apparent in the riper Chardonnay wines for which this area is best known. Pouilly-Fuisse is perhaps the most famous appellation in the Maconnais region, producing well-structured, full-bodied Chardonnay wines with ripe stone fruit, honeysuckle and citrus peel aromas. Unlike the big, bold wines of Bordeaux, Burgundy wines are known to be more delicate in texture, though just as nuanced in flavor. The classic Burgundy white wine is 100% Chardonnay (although Aligote has been growing in popularity among consumers), with floral, vegetable and fresh white fruit flavors in their youth and dried fruit, spice, mineral and undergrowth nuances after time spent aging in the bottle. The classic Burgundy red is 100% Pinot Noir with fresh red fruit flavors, along with floral and vegetable notes, which develop into candied fruit, spice, mushroom, animal and undergrowth notes with time. These are wines with fantastic aging potential, sought after by collectors around the world.